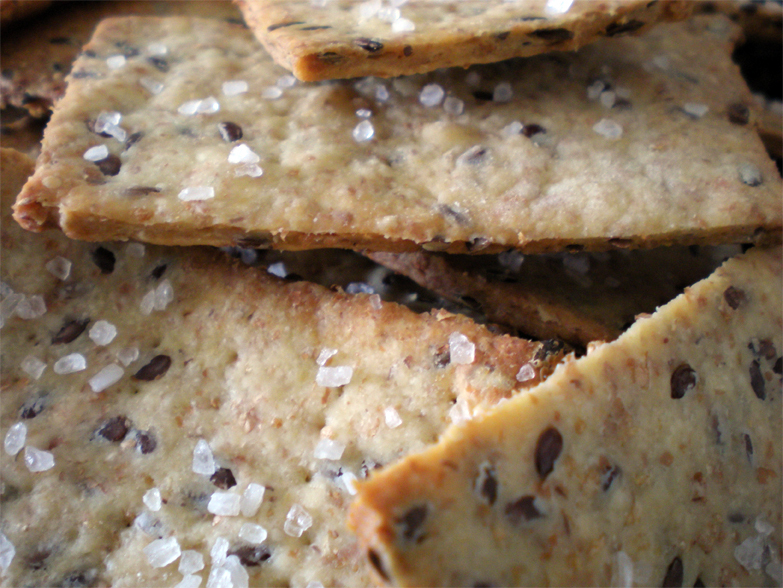 These crackers are healthy, crunchy and delicious. I got this recipe from a favorite blog of mine, 101 Cookbooks. I have made a few small changes to the original recipe, mostly because I was short on time when I was making them. They turned out wonderful and I’m definitely making them again! I also made Avocado Dip to dunk them in. They go together wonderfully. Bake at 350˚F for about 10 minutes. 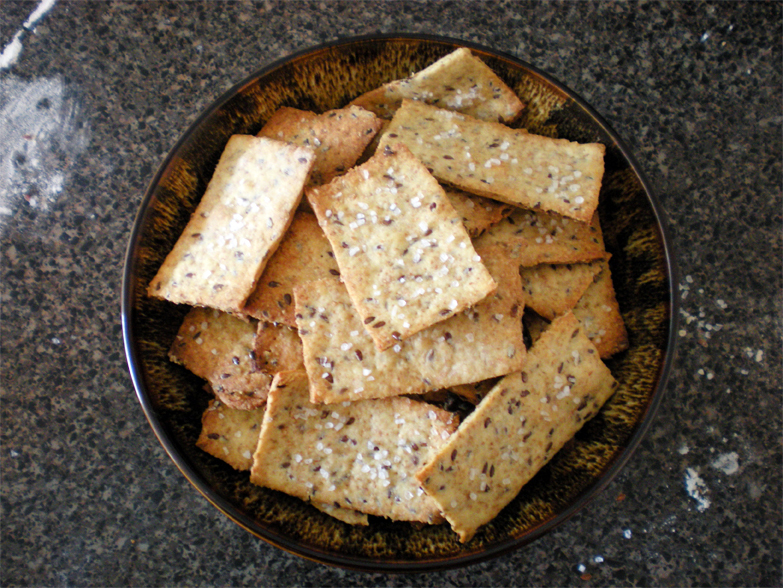 This recipe made about 50 medium sized crackers. In a large bowl, mix: 1 1/2 semolina flour, 1 1/2 whole wheat flour, 1 teaspoon fine grain sea salt and 1/3 cup of whole flax seeds. To that, add 1/3 cup of extra virgin olive oil and 1 cup of warm water. Mix with a spoon and then shape the mixture into a ball by hand. Transfer the dough onto a floured surface and knead it just until it all comes together. Slice it in half. Take one half of the dough and roll it a few millimeters thin (or thinner, or thicker, depending on how crunchy you want your crackers). You can cut them however you please. You can use cookie cutters or glasses or a knife. I just the dough into rectangles. Now very lightly brush each cracker with olive oil. Then, take a fork and poke them a few times so they bake nice and flat. 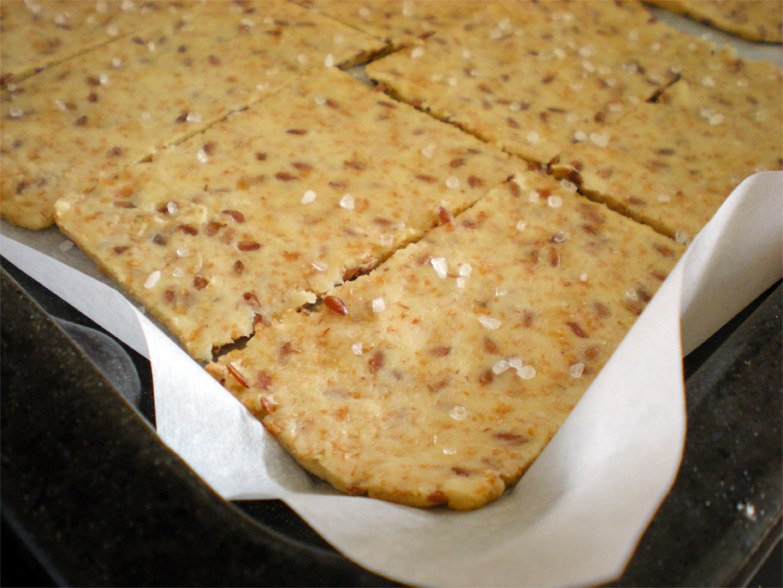 Sprinkle them with a little bit of coarse-grain salt, and they’re ready to be baked. Repeat with the second half of the dough. 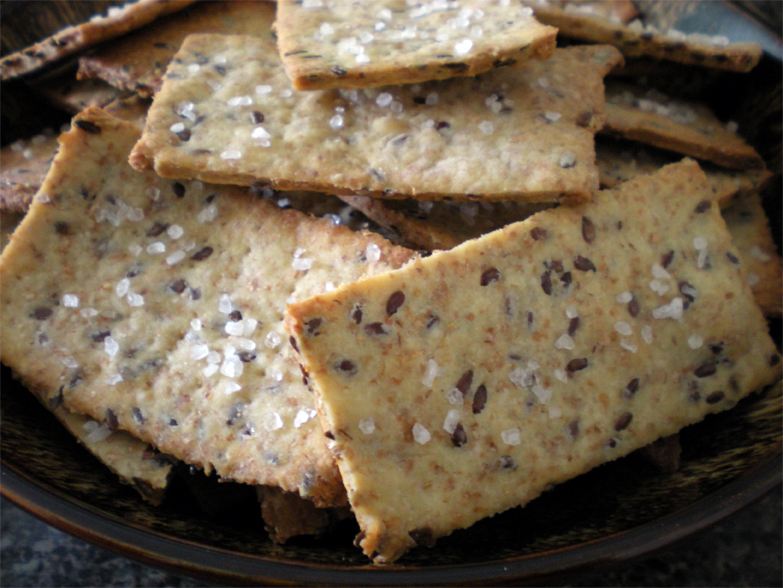 Line a baking sheet with parchment paper and line the crackers up. 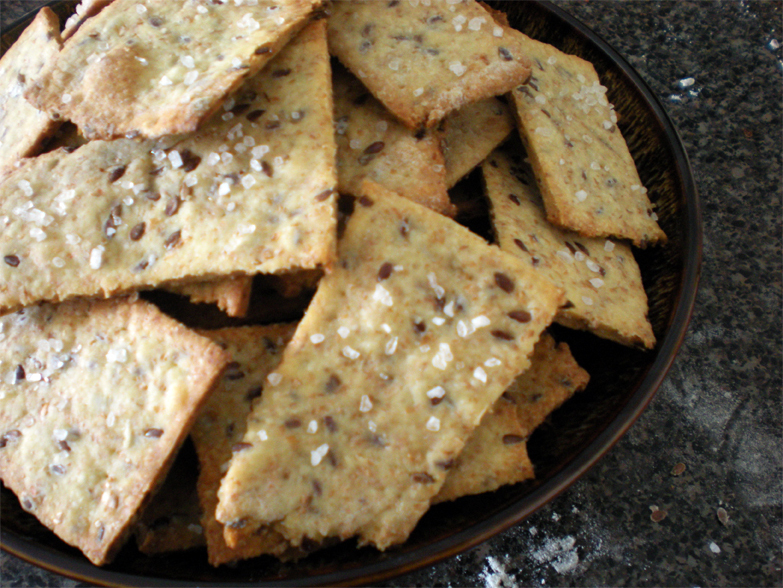 Transfer the crackers onto a bowl immediately. I know they look tempting and delicious but let them cool for about 5 -10 minutes before eating. Dunk them into your favorite dip and eat! Looks yummy. Something I am going to try with kids in the afternoon. Those are perfect looking crackers!